Let's Do It for ME! 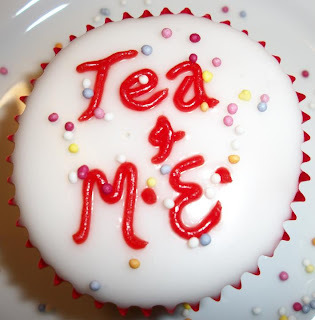 : Tea for M.E! "I find that cake is an excellent solution to many of life's problems" – Evelyn Smythe*, Doctor Who and the Marian Conspiracy. M.E. (Myalgic Encephalomyelitis) is a chronic neuro-immune illness characterised by debilitating fatigue, pain, ‘brain fog’ and post-exertional malaise, among many other symptoms. There is no cure. Research has discovered that sufferers have many biomedical anomalies including poorly functioning natural killer cells, abnormalities in brain matter and brain metabolism, abnormalities in the autonomic nervous system and mitochondrial disfunction. Sufferers have a reduced life expectancy and an increased risk of cancer and heart problems. There are currently no medical treatments on offer in the UK. TEA (as in ‘afternoon tea’ or ‘tea party’) is a meal or snack that may include cake, scones, biscuits, muffins, crumpets and pastries. It is characterised by its deliciousness. TEA4M.E. aims to use the deliciousness of TEA to combat the awfulness of M.E. by producing a fund-raising teatime recipe book. All proceeds from TEA4M.E. are to go towards Invest in M.E.’s proposal for a desperately needed UK Centre of Excellence for M.E. *Ever wondered how to make Evelyn Smythe’s Chocolate Time-Travelling Temptation Cake? Buy this book and find out! We would love to receive recipe submissions for teatime treats from M.E. sufferers, their friends or family, anyone who’s keen to support medical progress, or anyone who just likes cake. The deadline for recipe submissions is 27 November 2011. All submissions will be gratefully received but they may not all be included in the finished book – for example, if we receive 18 recipes for fruit cake, we will have to choose which one to use. However everyone who submits will (to the best of our endeavours) receive an acknowledgement in the book. As many ME sufferers have digestive problems or food intolerances, we would like to raise awareness of this by including recipes that cater for special diets. Gluten-free and/or dairy-free recipes would be especially welcome. PLEASE bear in mind that this project is being run by an ME sufferer. This means that weeks may pass when emails may not be acknowledged due to ill health; not getting an immediate reply doesn’t mean that your submission isn’t appreciated. If you would like to include a short personal comment about the recipe – eg what it means to you, a memory regarding it – please do so, although please understand that this may not be included in the book for reasons of space etc. Ready to submit your recipe? Many thanks to all those involved in this delightful project!